Konstantin (or Constantin) Stanislavsky was a pioneer in acting and directing. He was the man who popularized the current practice of believing what you do you on stage, and not just playing a character using external gestures and a loud voice (which was the practice for hundreds of years). He made psychological acting the norm, and his beliefs are the standard by which today’s actors act and directors direct. I won’t waste your time with any more biographical information or how he impacted theater in the 20th century – there are literally thousands of websites and books and college classes dedicated to him (not to mention his own massive volumes of work). If you want more information, it’s easy to find. 1. An actor must understand the main idea of the play; he must see himself as part of a whole. 2. A character’s lines will become alive if the actor has a purpose in saying them. In other words, you must understand not only what your character is saying, but also why. 3. The role is ready when an actor knows exactly what the character does each moment on the stage and why he does it. 4. An actor should learn to take material for his character from the life around him, from people he knows, or even from those he sees in the street and who leave and impression on him. Use your experiences and relationships as inspiration to help you build a believable character. Don’t be afraid to bring a piece of yourself into the role. 5. “Careless pronunciation of sounds and syllables is the same as having a broken tooth, a damaged eye, or a cut ear.” Speak slowly and clearly. 6. “Today, here, now.” – Forget about what happened on stage yesterday. Perform each scene as if is happening on the stage for the very first time. Yesterday was William Shakespeare’s birthday. So, of course, I decided to annoy everyone that I know all day long with incredibly awesome Shakespeare facts. I hope I enlightened them, and in return, they had a great time defriending me on Facebook. Shakespeare coined nearly 1,700 words that we regularly use in our everyday language. The best part is that most people have no idea that their go-to favorite word first appeared in The Tempest. Or Hamlet. Or whichever else. Below are my 5 favorite Shakespeare-coined words. 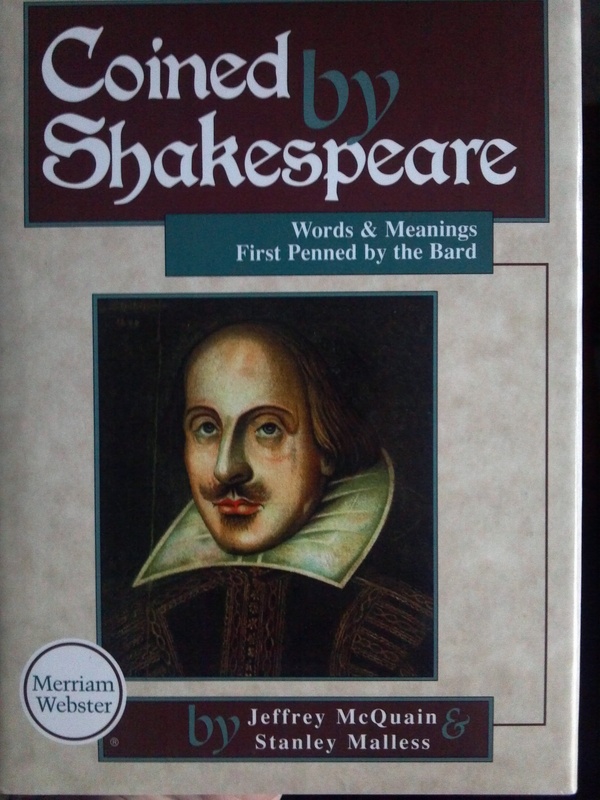 Thanks to the awesome book Coined by Shakespeare by Jeffrey McQuain and Stanley Malless for giving me my references. I like it because seriously, no one thought to call the spherical organ from which humans see a “ball”? Eye has been around since Old English, so there really is no excuse. I like it because we use it all the time. The dawn is part of our day and has become so ingrained in our vernacular that it’s hard to believe it didn’t exist before WS decided to use it. I like it because all the kids are saying it. “Swag” and all that. And I love throwing in their face that it was created by a 17th century playwright and not Lil Wayne. I like it because the word has such a powerful connotation that there is no mistaking what it means or who the victim is. Figures it got its start in Macbeth. I like it because I find myself doing this a lot. I like it because without Shakespeare, there would be one fewer hockey penalty.